Although I believe in self care and treating yourself year round, Valentine’s Day is the perfect excuse if you’re looking for a reason. I’ve compiled a list of 14 simple yet creative ways to show yourself some love on this special day. 1. Text or call a good girl friend and schedule a get together. 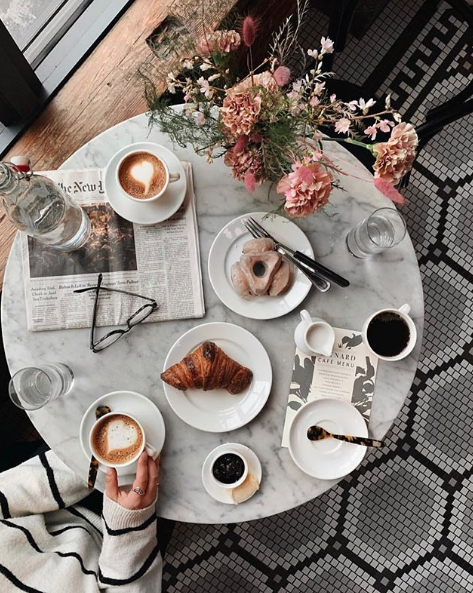 It can be as simple as grabbing a drink at a new bar in town, meeting for tea at your favorite local coffee shop, going for a walk in your neighborhood, or even finding a fun activity to do together (art class, concert, lecture, etc). 2. Try a new skincare or beauty product that you wouldn’t normally purchase for yourself. It can be a great Korean sheet mask from Sephora, a sugary lip scrub from Ulta, or a new red lipstick from Saks Fifth Avenue. A fun idea for a great price is the HA5 SkinMedica Lip Plump System at Village Dermatology. For the entire month of February they are offering $25 off so now’s the perfect time to treat yourself! 3. Write down your answers to the following questions (either in a journal, in the note section of your iPhone or anywhere else you can easily refer back to): “What am I grateful for?”, “What joys do I get from life right now?”, and “What do I love about myself?”. Then anytime you are feeling down or stressed refer back to these answers for a dose of reality and a pick-me-up. 4. 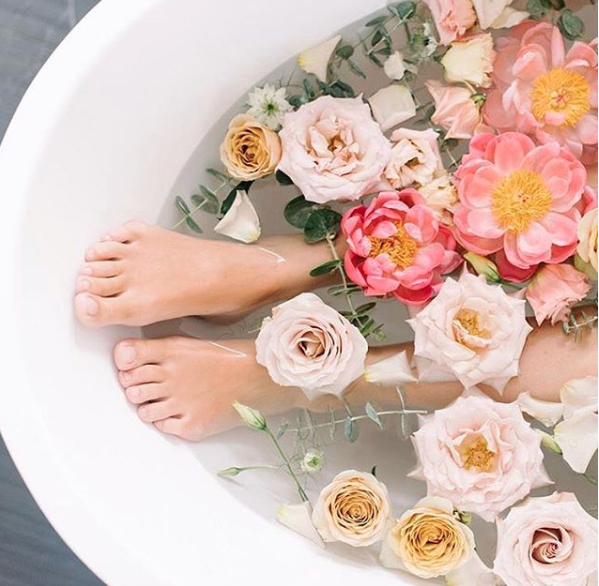 Enjoy a relaxing bath, complete with bubbles and candles! Try some wonderful detox bath salts like my favorite by Herbivore HERE for a relaxing bath that also works for you. 5. Pin point a hobby, interest or activity that you’ve always been interested in exploring and research away! Turn it into reality by booking that art class, signing up for that pilates class, or registering for that online class on a subject of interest. 6. Visit your local chocolate shop and indulge in some high quality chocolate of your choice. 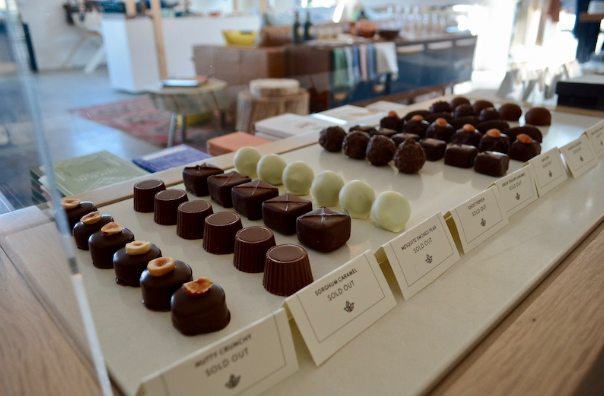 Instead of that drugstore Valentine’s Day candy, support local and treat yourself to some decadent chocolate made or sourced locally. For my Birmingham femmes, visit Chocolata and Honeycreeper Chocolate. 7. Book a new (and oh-so-relaxing) treatment such as a massage, acupuncture, facial, or mani/pedi. Try something out of your new beauty routine, you may just love it! 8. Bring the spa to your house in a small but delicious way. Try making some fruit infused water to sip on to ensure you meet your daily water needs in an enjoyable way. Cucumber is always a good idea, but for a more adventurous palette try lemongrass and ginger, mint and strawberry or blueberry and lemon. 9. 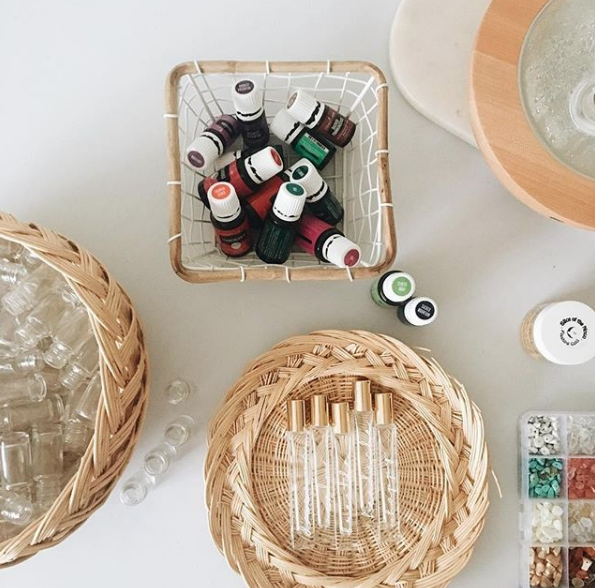 Try a new wellness trend like essential oils. Lavender is well-known for its relaxing and calming effects on the body. 10. Buy yourself new pair of luxurious pajamas or eye mask and silk pillowcase set from SLIP. This product is a favorite of mine, and you’ll instantly feel pampered when getting your beauty rest. 11. Attend a fun, local Valentine’s Day event in your city. Many museums are participating in #heartsforart during the month of February where you place a heart in front of the piece you’re crushing on the most and then share it on social media. Feed your soul with a stroll through an art museum. 12. Take an hour or two to completely unplug from social media, texting or your phone altogether and soak in some alone time! And curl up with a cup of hot tea and a book that’s been on your reading list. 13. Try a new and interesting workout class like hot yoga or aerobarre. 14. Make an arrangement of pretty flowers. Who says you have to wait on someone to bring you a bouquet? Trader Joe’s has a fabulous assortment of flowers and greenery sure to be the perfect centerpiece for your table. I hope this list inspires you to put yourself first! And maybe you’ll even find something you love and continue it all year long!